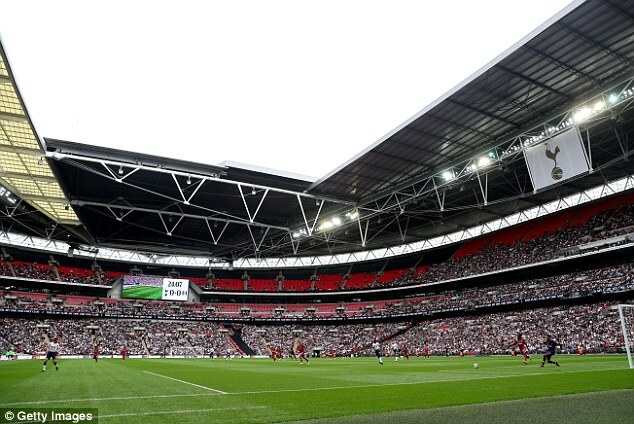 Tottenham have confirmed that an agreement has been reached with UEFA to play their first Champions League home game at Wembley this season. Spurs have played their European matches at England's national stadium since 2016 and it has been their temporary home for all games since White Hart Lane was fully demolished in May last year. The club had been hoping to move into their new Tottenham Hotspur Stadium next month but the construction project is behind schedule. Wembley had already been confirmed as the venue for Tottenham's next two Premier League fixtures — against Liverpool and Cardiff — while the match with Manchester City scheduled for October 28 is listed as TBC. Tottenham's first Champions League group match at home will be on September 18 or 19 should it fall in matchweek one, or on October 2 or 3 if in matchweek 2. It is hoped, but far from certain, that Tottenham's new stadium will be ready to host a game in matchweek three (October 23-24) or matchweek four (November 6-7).